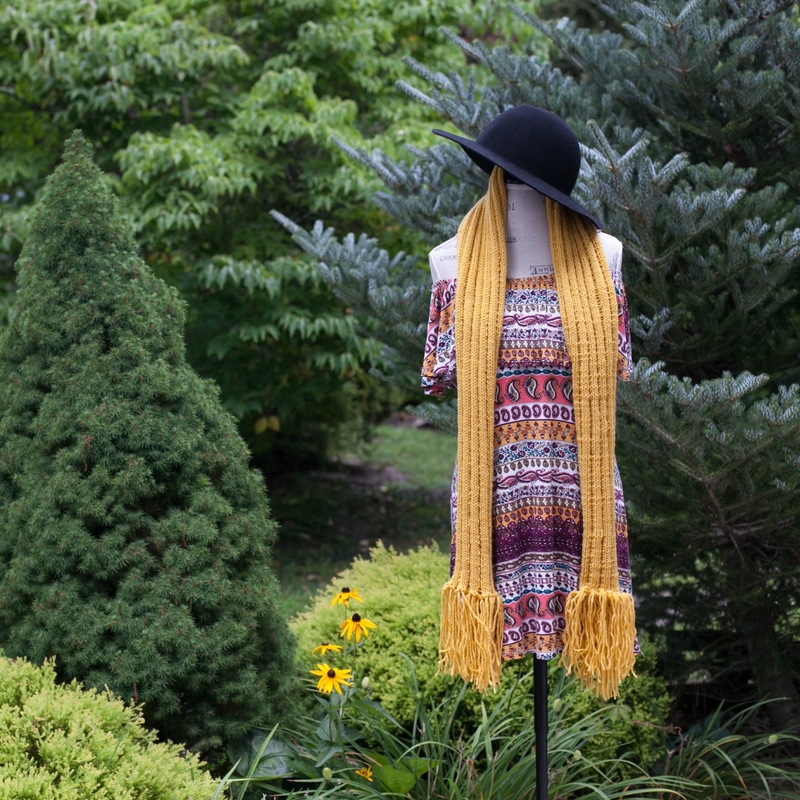 Elegant, slightly bohemian, loom knit scarf pattern! 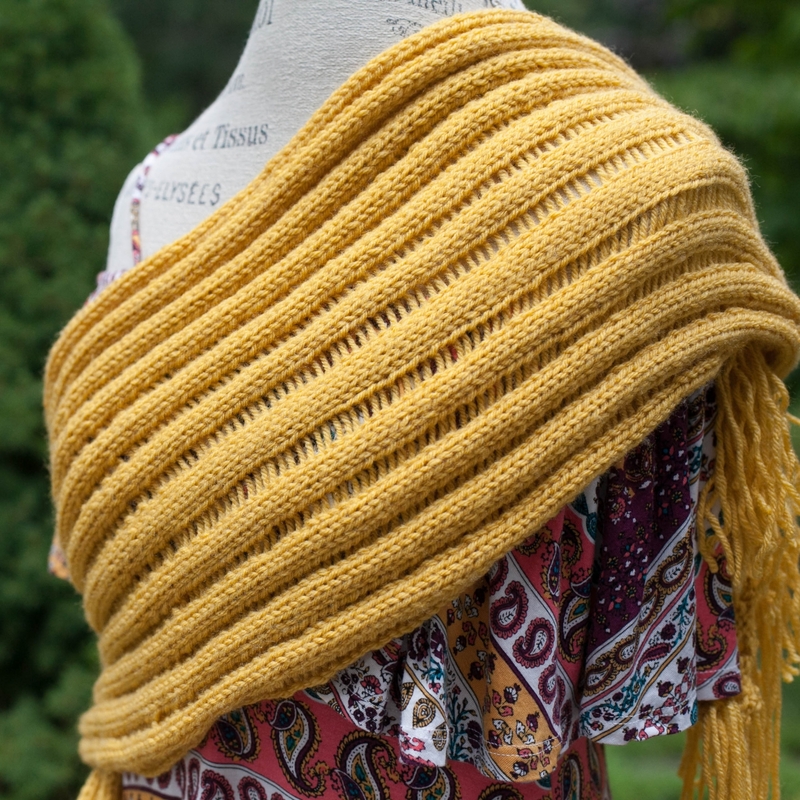 Lovely drop stitch, loom knit scarf pattern with fringe. 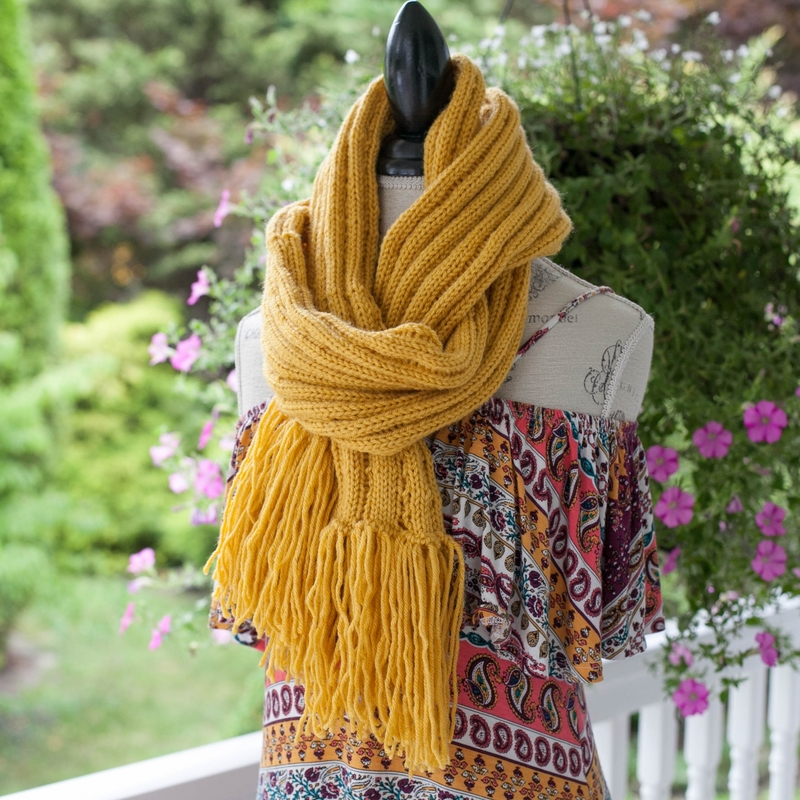 This scarf is designed to roll at the edges, softly hugging the body. 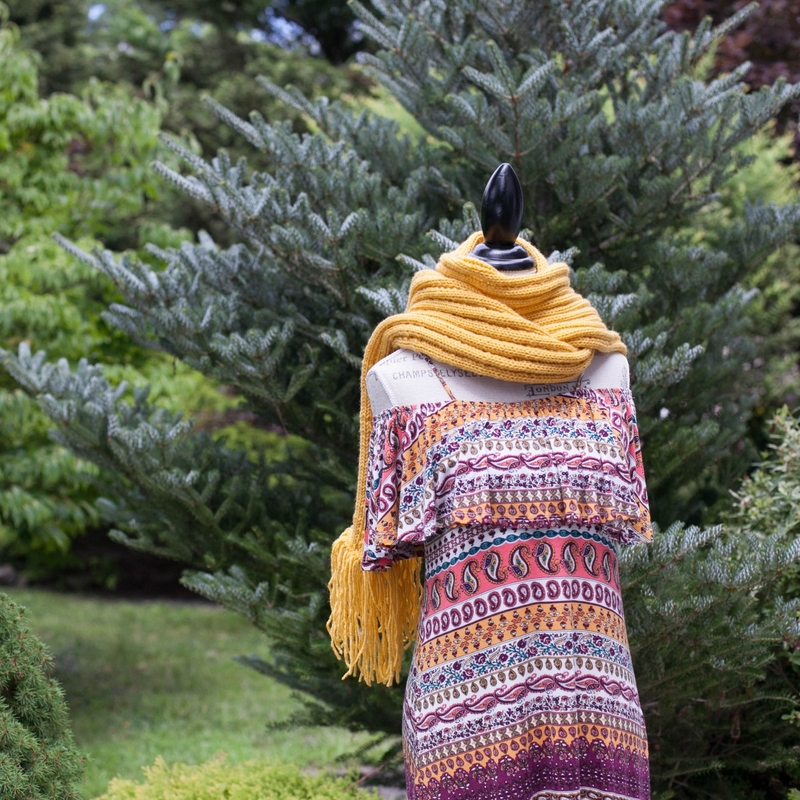 It’s easy wear, just throw it on and it looks great or wear it in the many different ways shown. 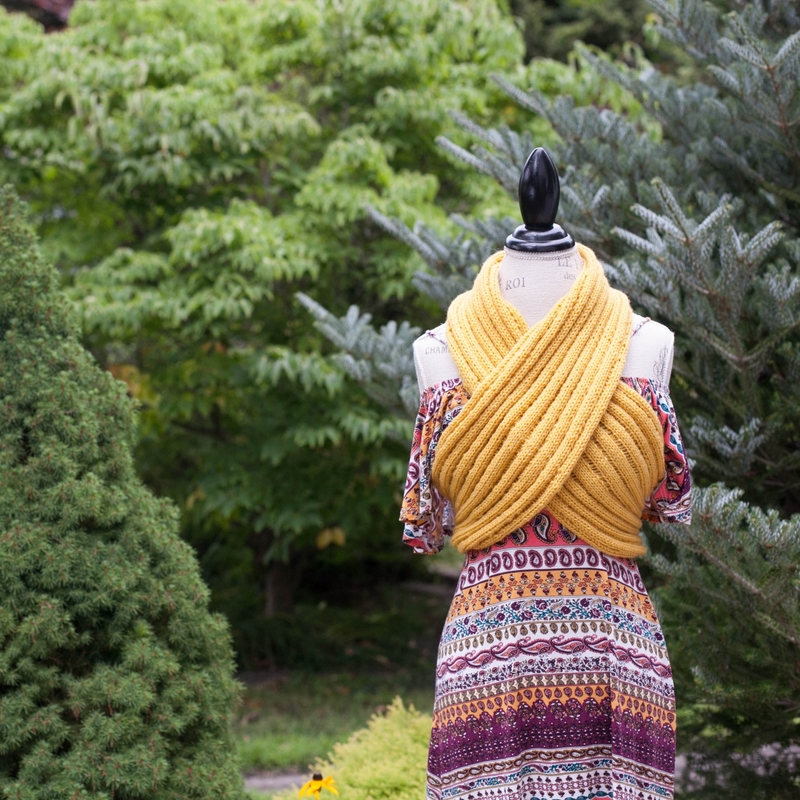 It’s extra wide but easily snaps into a tube when you want a narrow scarf, truly versatile! Easy enough for a beginner. Beginner, loomer should understand how to read a pattern. ALL pattern sales are FINAL and NON-REFUNDABLE once downloaded. Please read pattern description carefully before downloading.